Dr. Leonard G. Horowitz, the internationally-renowned expert in public health, whose many scientific publications, books, and five documentary films have vetted health risks from vaccines, has been forced into Chapter 13 Bankruptcy, according to documents filed in Honolulu on March 9, 2016. (Click to open pdf of: (1) Adversary Proceeding Complaint March 9 2015; and (2) Motion for Preliminary Injunction and Stay Extension with Exhibits, filed 3-18-2016 [28.4MB]. Locally, the Hawaii County Council voted to oppose mandatory injections by a nearly unanimous 7-1 vote in the wake of the H1N1 Swine Flu fright in 2009, largely due to Horowitz’s research and writings. In March, 2016, JudicialCorruptionNews.com broke the story of Hawaii Senator Rosalyn Baker getting caught in a bribery scandal with Pfizer/Monsanto lobbyists in an article written by Horowitz, this investigative journalist, and anonymous lawyers. The natural health activist has been a thorn in the side of Big Pharma for a quarter century. 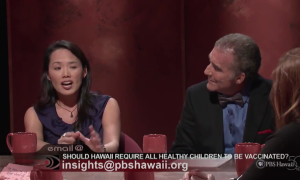 Horowitz is the honored author and filmmaker who trounced Hawaii Senator Josh Green, M.D., and Dr. Sarah Park, chairwoman on the “National Biodefense Science Board” and State of Hawaii’s chief epidemiologist, in the “Great Vaccine Debate of 2015.” Produced by PBS Hawaii, Dr. Horowitz and Dr. Janet Edgehill blasted Hawaii’s most popular health officials for their blind malfeasance. Dr. Park’s bias, Horowitz revealed, neglected commercial crime, global genocides, and man-made laboratory sourced outbreaks, in favor of recommending drugs and vaccines being stockpiled by the federal government. “Taxpayers are paying to feed ‘the beast’ that is killing all of us, as officials neglect the commercial crime underlying the ‘outbreaks.’ This is neglected ‘crisis capitalism’ instigated by the drug companies and PharmaMedia to boost sales of dangerous prescriptions,” Dr. Horowitz posits. Dr. Horowitz’s “medical paradigm shattering” theories and products feature the frequency at which bees buzz to produce honey, levitate miraculously with inadequate wings flapping in a figure 8, vibrating in sync (i.e., “phase-locking” in physics) with the resonance of chlorophyll. Dr. Horowitz has pioneered the notion that everything works better, most miraculously, in the “Spirit of 528,” reflecting rainbow hearts and central sunshine–greenish yellow color and related acoustics. Horowitz’s The Book of 528: Prosperity Key of LOVE best explains the reason bees are able to fly with 528Hz frequency of sound in harmony with 528nm of light to produce honey and sustain organic agriculture. “We can heal the world by making and celebrating ‘medicinal music,'” the doctor has argued repeatedly to officials with deaf ears and blindly biased eyes incapable of accepting irrefutable science. 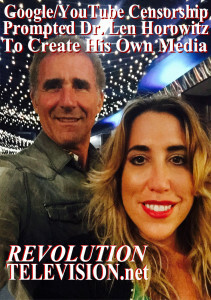 As a result of the controversial doctor’s best-selling books and films, many view his persecution and malicious prosecution by corrupt lawyers and judges in Hawaii as retaliation for his whistleblowing and pioneering achievements in natural medicine. Horowitz slams the drug cartel that is heavily invested in his neighborhood, that is the Puna District on the Big Island. The Harvard-trained expert in emerging diseases has advanced bio-enegizing products and inventions that directly compete with Big Pharma and Big Biotech. His earth shattering ideas in his “Natural Cure for Global Warming” captivate scientists and lay persons alike. 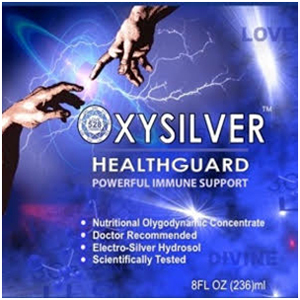 His products, including Liquid Dentist and OxySilver are revolutionizing dentistry and medicine. “Simple understandings can terminate the archaic and barbaric slash, burn, and poison paradigm of disease care,” the doctor lectures. Political observers say that the mob is ejecting Horowitz from his Hawaii property because it makes good business sense. So it makes good business sense for the mob, operating through the prosecutor’s office and Third Circuit Court judges, to protect turf that yields $3.5 billion in contraband annually. 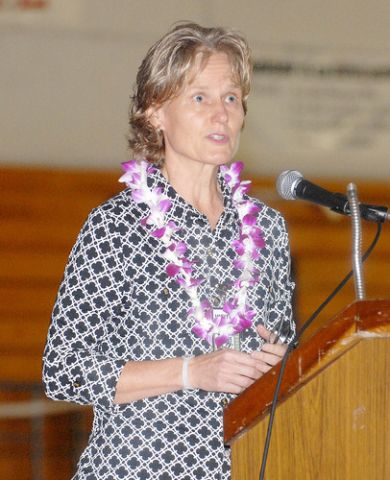 Almost no one cared about any of this before Hawaii County Council Woman, Margaret Wille, began a crusade to clean up the Big Island’s corruption and political nepotism. She’s still working against the odds. 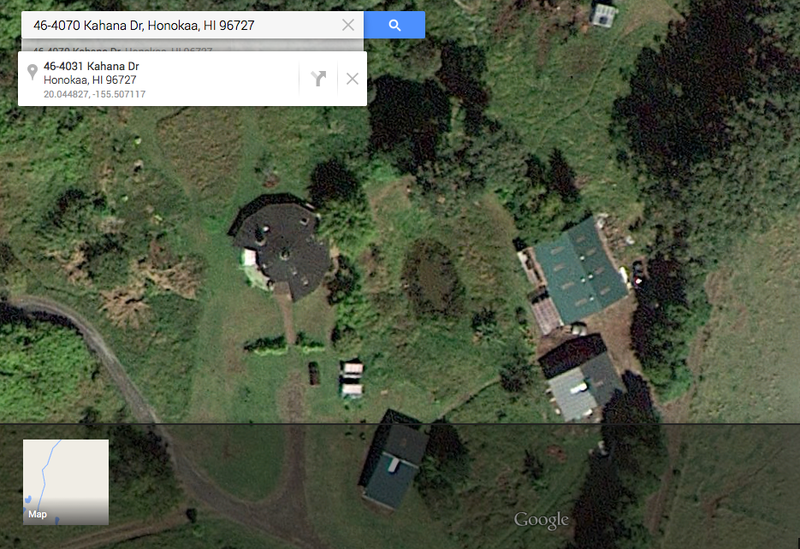 Dr. Horowitz’s persecution in Hawaii began in 2004 when he, on behalf of his ministry, naively purchased a “Bed & Breakfast” from a convicted drug dealer, Cecil Loran Lee. The doctor did not know that Lee had been busted for growing 330 marijuana plants at the Steam Vent Inn and Health Retreat on Rt. 130 in Pahoa. No one informed Horowitz that Lee had defrauded two previous buyers resulting in the title to the property being “encumbered.” Horowitz had no knowledge that an air strip bordered the property from which Lee’s cronies trafficked bales of pot. Lee failed to disclose the property had been seized by the feds and encumbered by defrauded buyer Philip Maise. Maise was a Wells Fargo loan officer who tracked Lee’s money being laundered through the Territorial Savings Bank and a notarizing official named Collins Tomei working at the Hilo branch. Lee’s failure to disclose the aforementioned facts, and view of Horowitz as his next sucker, engaged Horowitz and Maise in continuous litigation since 2004, ultimately bankrupting Horowitz. Lee was punished by Maise and a different Third Circuit Judge, Gregg Nakamura, who honorably recused himself from Horowitz’s proceedings after finding Lee had manufactured many illegal records in Maise’s two earlier cases to defraud the court. Lee was widely known as troublesome to County officials who also concealed the aforementioned facts from Horowitz. Their secrets evidenced widespread organized crime on the Big Island, especially in his neighborhood. Brenda Iaone, the escrow agent at Island Title, purposely withheld her knowledge that the federal lien and Maise’s had encumbered the title. 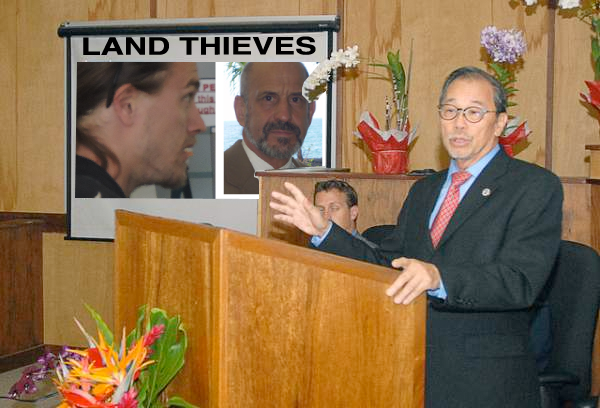 Instead of telling the doctor he would get into the middle of this litigation nightmare, and soon need to be making his mortgage payments to Lee’s judgment creditor, Maise–Island Title referred Horowitz to attorney Glenn S. Hara (before he became Judge Glenn S. Hara of the Third Circuit Court of Hawaii). This appears to be how Horowitz was set up to go down. Initially, Lee and his “good ole boy network” of drug-trafficking land thieves threatened to steal Horowitz’s deposit money, and after the doctor resisted, the mob attempted to recover the Property after the sale through fraudulent foreclosure actions and a series of malicious prosecutions all before the willfully blind eyes of four Third Circuit Court judges. Days before the doctor’s scheduled closing of escrow, Lee and his cronie, Herbert M. Ritke, extorted Horowitz to pay another $150,000 more than was contracted. The extortion prompted Island Title Co. officials to refer their “client” to Glenn S. Hara, to prepare a settlement agreement for closing. 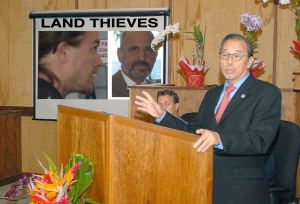 At that time, Attorney Hara was, or should have been, mindful of Lee’s repeated trouble with the law, since Lee had already defrauded Maise, who bought the same property using the same escrow company–Island Title. Hara drafted Horowitz’s “Agreement for Closing Escrow” to supposedly protect the doctor from Lee’s threats. But Hara miss-titled the Agreement. Hara should have named it “Addendum to the Mortgage.” Instead, he titled it a separate agreement that Lee later altered to bring a eleven-year-old foreclosure lawsuit, Civ. No. 05-1-0196. The whole thing might have been avoided had Hara not conspired with Horowitz’s subsequent lawyer, John S. Carroll, to neglect to summons Hara and enter the “The Hara File” as evidence during the trial (that is, witness tampering, evidence tampering, and obstruction of justice). The conspirators made sure Judge Hara would not be summoned to testify in the trial of Lee v. Horowitz, et. al. View of Sulla’s drug church provided prosecutors. Five years into the case, and a year after Dr. Horowitz prevailed at trial despite all the fraud upon the court, Lee died insolvent, and without leaving a will. One would think that Horowitz’s case was thereby over, especially since Horowitz was awarded $200,000.00 in damages from Lee’s fraud, and the foreclosure was denied by Judge Ronald Ibarra. But this was just the beginning of a new nightmare. . . . Between May 15-28, 2009, attorney Paul J. Sulla, Jr. suddenly appeared and took over Lee’s estate and case as a self-appointed “personal representative.” Sulla evaded probate court, and instantly substituted for Lee a judgment-proof drifter, “Jason Hester,” as an alleged “Substitute Plaintiff” and “Overseer” of a new “church” (i.e., constructive trust) that Sulla manufactured with a set of forgeries included in his “Articles of Incorporation” used to continue the litigation to steal Horowitz’s money and property. Sulla is a Hawaii Supreme Court Publicly Censured lawyer with a terrible reputation for defrauding tax officials and clients sheltering income through fake trusts. Sulla immediately falsely claimed Hester was Lee’s “nephew,” and Judge Ronald Ibarra blindly accepted Sulla’s contrived new “church” and Substitute Plaintiff without any question; despite an objection filed by Horowitz’s attorney Carroll, there was no reasonable inquiry conducted by the Court. Once he had a new plaintiff, Sulla moved the Court, Hester and the fake “church,” to extort Horowitz to pay the $200,000 jury award that Sulla and Ibarra “vacated” through a series of violations of court rules and state laws. This maneuvering enabled Sulla to foreclose on Horowitz again! All the time Sulla concealed his personal conflicting interest in the property as Horowitz’s health spa competitor, and as an “attorney surety.” Beyond Sulla’s actions as a “collection agent” for the sham and insolvent “Gospel of Believer’s” “church,” in 2008 Sulla incorporated a competing health spa operation only two-miles from Horowitz’s estate. This “Hawaiian Sanctuary” complemented Sulla’s other investments in “natural medicine,” agri-products, and “educational services,” including (but not limited to) the “Big Island Ayahuasca Church” illegally manufacturing and trafficking the Class 1 narcotic hallucinogen, “DMT,” from locally-grown Banisteriopsis caapi. Concealed documents proved that Sulla directed and contracted with Hester to act as “Lee’s beneficiary” in full view of Judge Ibarra and his subordinate Judge Elizabeth Strance’s willful blindness. 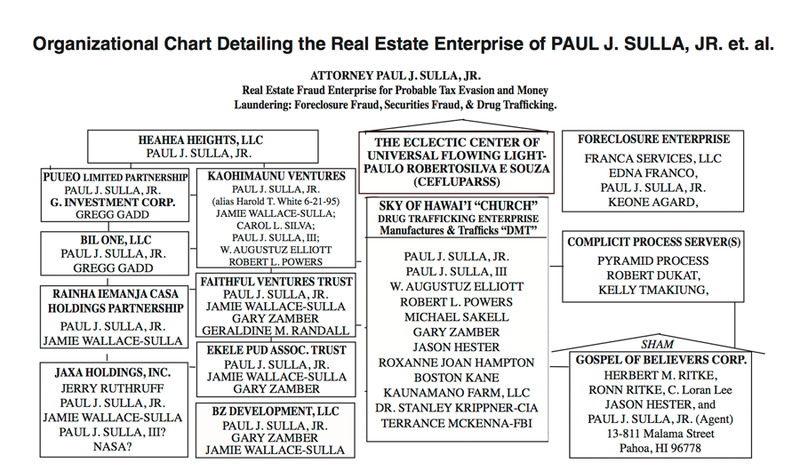 A chart graphically detailing Sulla’s racketeering enterprise, showing the interconnections between Sulla’s network of “religious” and business entities and trusts, went neglected by the Court despite this evidence of IRS fraud and contempt of court. As Lee was dying in Arizona, owing more than $400,000.00 to five judgment creditors from three different cases, Sulla and justices Ibarra and Strance began prosecuting Horowitz for his money or property. This scheme featured Sulla’s fraudulent assignments of the doctor’s void mortgage and notes to Sulla’s new fake “church” and sham plaintiff, Hester. Exhausted financially beyond $6 million in damages by 2012, and distressed severely by being victimized for nearly a decade by his own lawyers and Big Island judges, the doctor was forced to begin to study law to protect his own rights and properties. To help himself, as well as others similarly railroaded, Dr. Horowitz developed ProSeLegalAide.com–a website and online service for self-helpers combating evil in the courts. Horowitz put his knowledge and pro se instruction to work against Judges Strance and Ibarra who repeatedly reprimanded and prejudiced the doctor as a pro se litigant. The judges required the doctor to comply strictly with the rules of the court that they, like attorney Sulla, regularly broke. Using the ProSeLegalAide.com web service, Horowitz organized his defenses to combat the judicial corruption. P. Sulla and J. Hester at illegal foreclosure. (1) Sulla filed his complaint against Horowitz to gain “quiet title” to Horowitz’s property, and evict the doctor from his home, but failed to get the court’s required permission to do so. Thus, the entire “Quiet Title Action” Sulla filed was “wrongful” and any judgment deriving therefrom was void (ab initio). In other words, that “leave of the court” (i.e., permission to file the complaint) was required under the Rules of the Circuit Courts of Hawaii, Rule 26(b), but neglected by Sulla. That law requires “attorney sureties” who act as debt collectors to get the court’s consent, in order to avert conflicting interests. (2) Sulla also failed to follow the strict requirements to foreclose non-judically after Horowitz prevailed in Lee’s judicial foreclosure. These facts provided two more defenses: (a) res judicata/collateral estoppel, and (b) foreclosure fraud. The Judge was well aware that Sulla concealed his conflicting interests, that he had been litigating as a concealed “real party in interest,” and that the “Plaintiff” was a sham. Judge Ibarra knew that attorney Sulla operated illegally since the seller, Cecil Lee, died in 2009. Previous to that Ibarra knew that Lee had declared bankruptcy in an effort to evade losing his grip around Horowitz’s throat. Ibarra knew that Lee died insolvent, unable to afford Sulla’s commission, and that Lee died without leaving a will or any money to pay Sulla to do anything, let alone prosecute Horowitz for another six years. Judge Ibarra knew that Sulla was funding Horowitz’s ongoing persecution using a sham “church” trustee, and self-appointed estate fiduciary, beneficiary, and “personal representative” of Lee–Sulla himself. The Judges, including Ibarra’s subordinates, knew that Sulla manufactured the “Substitute Plaintiff” instantly after Lee’s death to keep the lawsuit going. The terms of Attorney Sulla’s “loan” to Hester enabled Sulla to foreclose on the property for a third time! That is right. Sulla positioned himself to foreclose on Hester (after winning Hester “Quiet Title;” for the shill’s failure to pay taxes on the property. Sulla, Hester, Judges Ibarra and Strance, and Sulla’s bribed co-counsel, Stephen D. Whittaker, each knew Hester was a homeless drifter domiciled in California according to public records. Everyone knew Hester could not afford to pay anything, nor had he ever paid anything, including taxes during the six years Sulla claimed Hester owned the property. In other words, the Court’s aided-and-abetted by “willful blindness” Horowitz’s railroading by Sulla, knowing full well that Sulla’s “loan” to Hester put Sulla in position to “flip the property” to himself at any time. Former Judge Elizabeth A. Strance. In 2015, Horowitz faced being ejected from the property by the dirty dealings of Ibarra’s subordinate, Judge Elizabeth Strance, complicit with Sulla’s bribed co-counsel, Stephen Whittaker. At that point Sherri Kane pleaded with Hawaii County Councilwoman and Attorney Margaret Wille, to come out of retirement to accept the doctor’s case. Ms. Wille had been sponsoring her own battles against similar unethical practitioners in government. After several weeks of researching Horowitz’s case, Wille found several rule violations in the procedures Sulla had filed to defraud the court and gain “Hester” quiet title and possession of Dr. Horowitz’s property. Horowitz lost title during one of eight bewildering cases. The most outrageously corrupt case was Civ. No. 14-1-0304, wherein the Court gave Horowitz’s property away to Sulla’s shill, Hester. 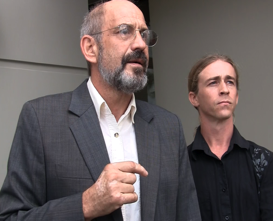 Attorney Wille filed for the Court’s stay of proceedings pending the outcome of the “first filed case”–Civ. No. 05-1-0196. But she moved the court to no avail, to reconsider its: (1) orders striking Horowitz’s counterclaims, maliciously and illegally done multiple times since 2012; (2) rulings that Horowitz has no “standing” to defend his and his ministry’s property; and (3) granting of standing to Hester–a total sham–who had no standing whatsoever to plead anything. Compounding that fact, Ibarra granted Hester quiet title without Hester ever appearing to testify of filing one affidavit in any case! Meaning, the court never had any facts before it to made a legal determination regarding Hester’s interest in the property versus Sulla’s interest, versus Horowitz’s interest! “Here, in ‘paradise,’” the doctor concluded, “the Big Island of Hawaii is infested with corrupt politicians and drug dealers who are aided-and-abetted by complicit prosecutors and willfully blind judges. The vitally important roles of law enforcers battling white collar organized crime harming our communities most have been subverted by mob bosses, corrupt lawyers, and soulless judges. These agents of crime and deception divert police officers and investigators away from their racketeering enterprises damaging the public most. “My case presents a study in judicial corruption for people interested in foreclosure fraud and racketeering enterprises engaged in land thievery and drug trafficking,” Dr. Horowitz said. “People everywhere can be helped by understanding how the game of political and judicial corruption is played, and by publications such as this on JudicialCorruptionNews.com. Sherri Kane is America’s leading investigative journalist, news commentator, psycho-social analyst, and political activist, specializing in women’s issues, human rights, animals rights, and children’s rights. Most recently, Ms. Kane co-authored with Dr. Horowitz Space Pearl Harbor–a historic work examining the transfer of military technology from the U.S. to China, involving fraud in the planned construction of the world’s most powerful telescope on the Big Island of Hawaii, the Thirty Meter Telescope (TMT).